XL Pill Planner Lids Open Easily and Close Securely to Prevent Spills; No More Spilled and Scattered Pills on the Floor, or inside Luggage, Purses, or Packs. Compartments Measure approximately 1.22” W x 1.61” H x 2.38” D. Overall Approximate Size is 9.00” Width x 2.78” Depth x 1.72” Height. See Pictures. 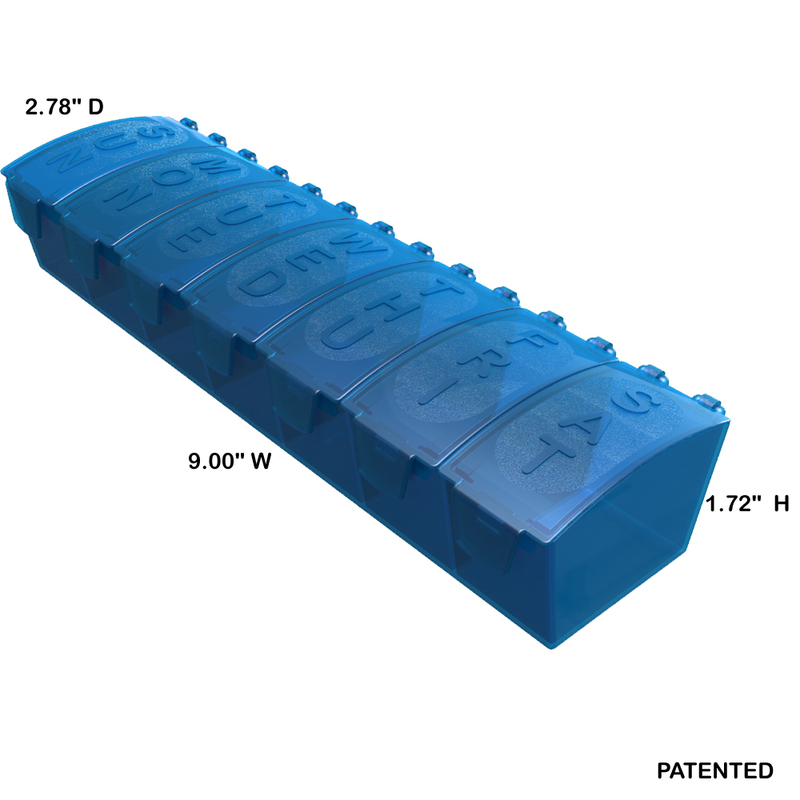 YOU’LL LOVE THE FEATURES of Our Space-Saving Extra Large Pill Organizer! 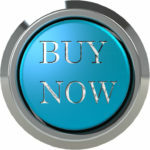 STOP WASTING YOUR MONEY replacing cheap “throw-away” pill boxes that don’t stay closed and that break after limited use! Med Manager Weekly will provide you with a long product life and has design features that we know you’ll love. 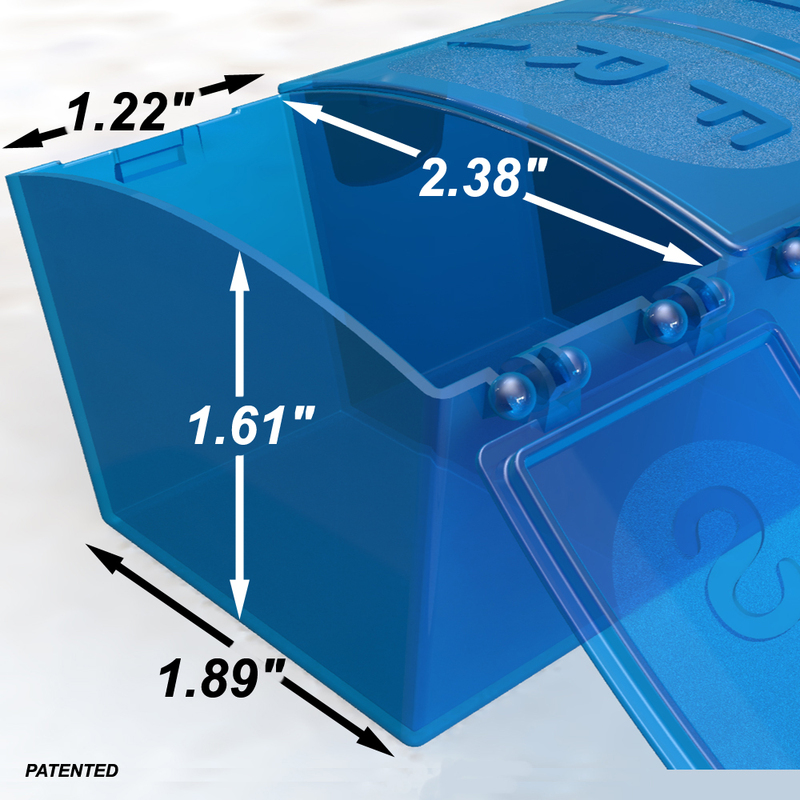 Holders have seven XL sized compartments – SUN-SAT (see photos for size). Simple, convenient, and easy to use. 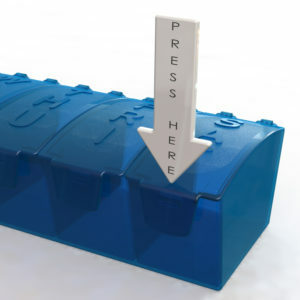 • ✔ QUALITY – Low cost pill reminders have lids with “living hinges” that crack and break after a short amount of use. Our lids are separate parts that connect with our durable ball and socket hinge design. Our weekly pill organizer provides a long useful life, saving you money over time, while helping the environment by keeping plastic out of landfills. • ✔ DURABILITY – Large embossed lettering, molded directly into the lids, indicate day of the week and will last years of hand washing. No risk of printed ink wearing or rubbing off – typical in lower quality pill boxes. • ✔ EASE OF USE – Filling the compartments is quick and hassle-free with lids that swing open fully and stay out of your way. 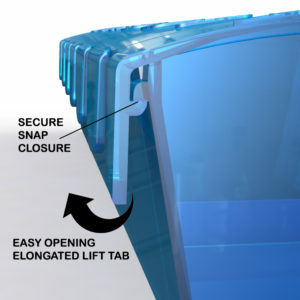 Extended tabs on our lids make them easier to open for those with arthritis or dexterity issues. 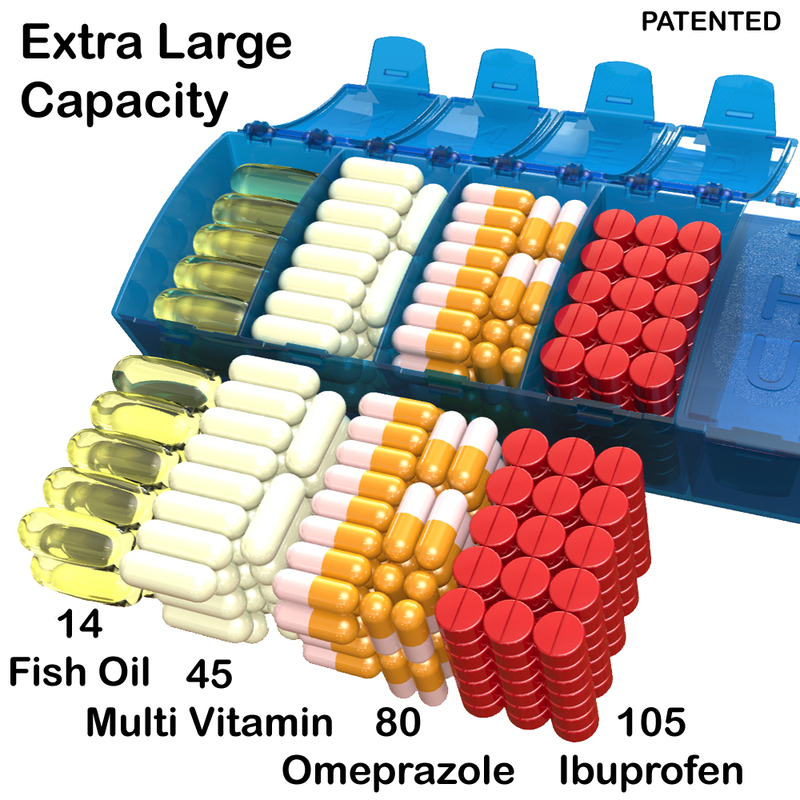 • ✔ RELIABILITY – With lower cost pill planners, the lids don’t fasten securely. Our lids have a positive closure and reliably stay shut. Feel confident taking one for a week of travel – in your luggage, purse or pack – as they are less likely to accidentally spill open. • ✔ SAFETY – Our products are made from BPA, Phthalate, and Lead Free virgin materials. 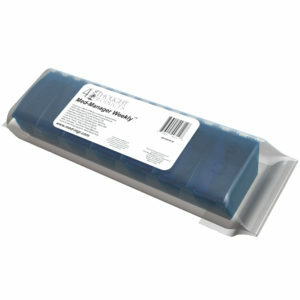 Our medication boxes use food grade polypropylene. 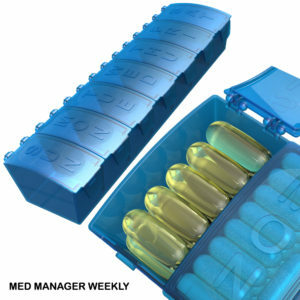 Quality, Durability, and Convenience are what you’ll find when you purchase MED Manager Weekly.